Contemporary, Modern Slab Bench. Order yours today to be custom made for your home or office. 4 foot Carved cherry slab and walnut slab bench with inlaid ebony butterfly. 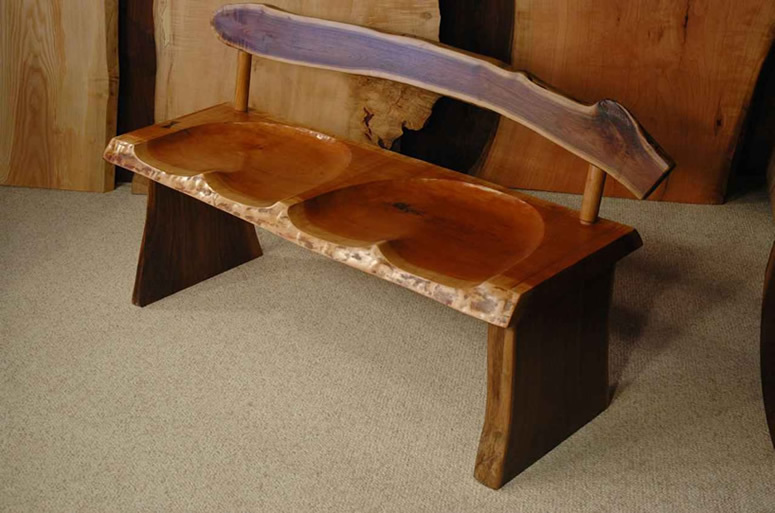 Rustic cherry slab and walnut slab bench with hand carved seat.